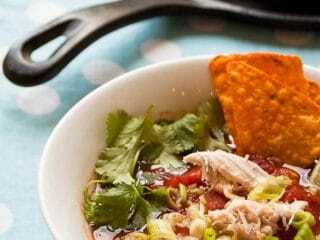 This quick and easy chicken tortilla soup recipe makes a great weeknight dinner. 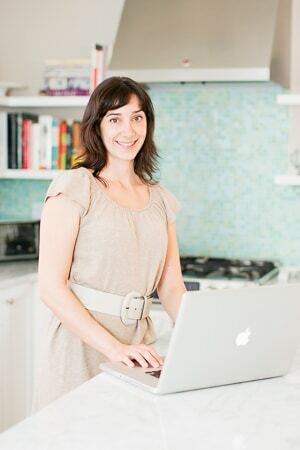 It's adapted from the I Love Trader Joe's College Cookbook by our friend Andrea Lynn. Psst...Chicken Doritos Soup, just putting that out there for your consideration. Bye. 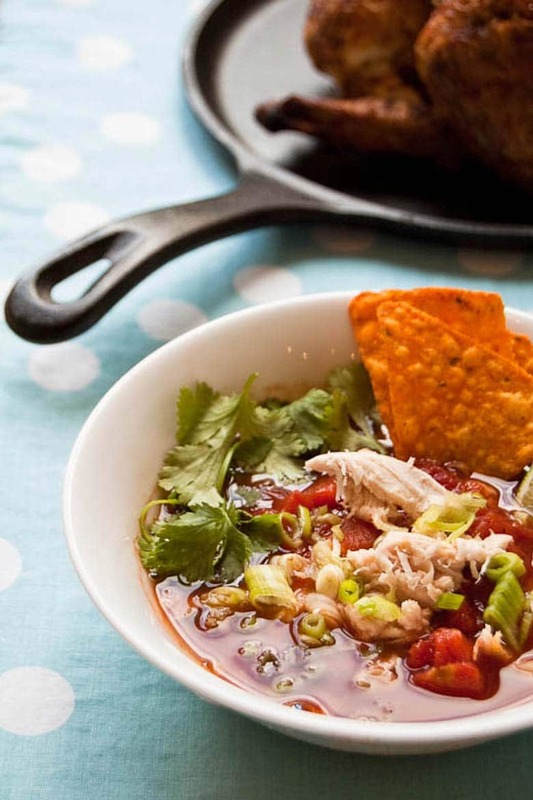 This chicken tortilla soup recipe is quick, simple, and totally delicious. It makes a crowd-pleasing weeknight family meal. In a medium pot, add the chicken broth, tomatoes, taco seasoning, salt, and pepper, and stir to combine. Bring to a boil over high heat. Reduce heat to medium-low. Add chicken pieces and lime juice and simmer for 10 minutes. Adjust seasoning with salt, pepper, taco seasoning, or lime juice, as needed. Garnish with cilantro, avocado, and crumbled chips. Adapted from The I Love Trader Joe's College Cookbook by our friend Andrea Lynn.